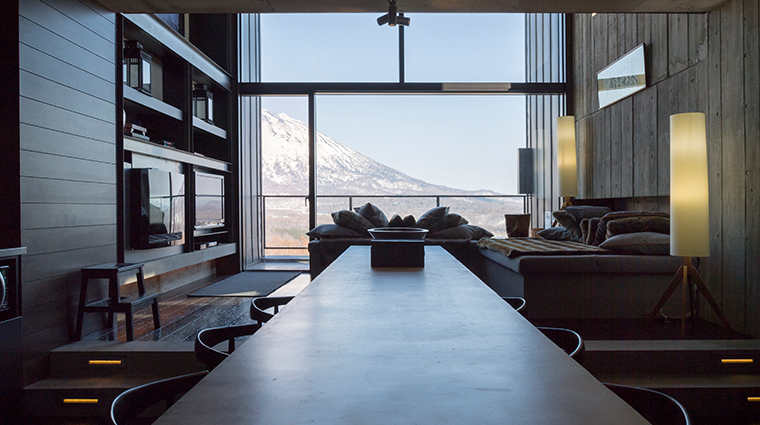 Though Niseko has earned a reputation for its high-quality snow and ski-run variety, it’s stellar accommodations like Suiboku Hirafu at that may capture the luxury traveler’s heart. 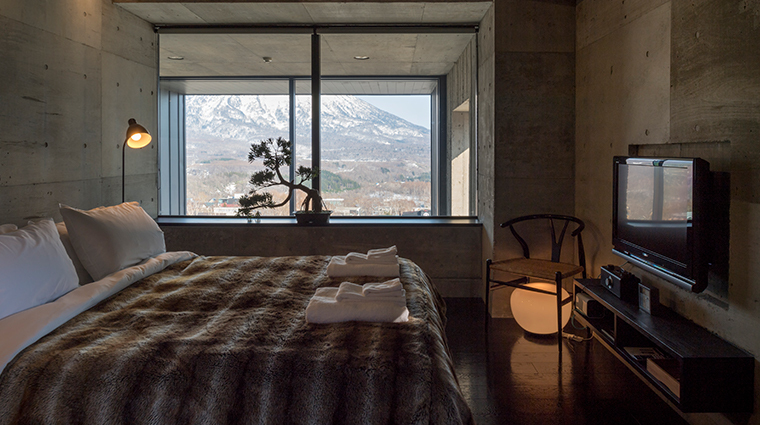 The luxurious Suiboku rests on a main street in Hirafu, the biggest village in Niseko (roughly two hours from Sapporo). 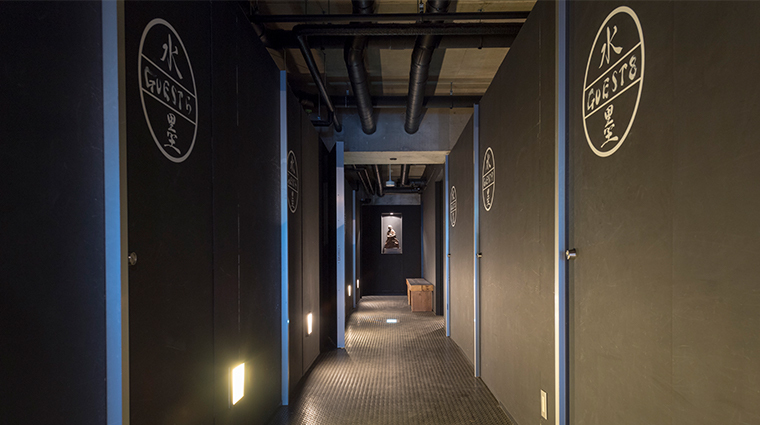 The property’s name refers to the varied palette of grays found in traditional Japanese ink. 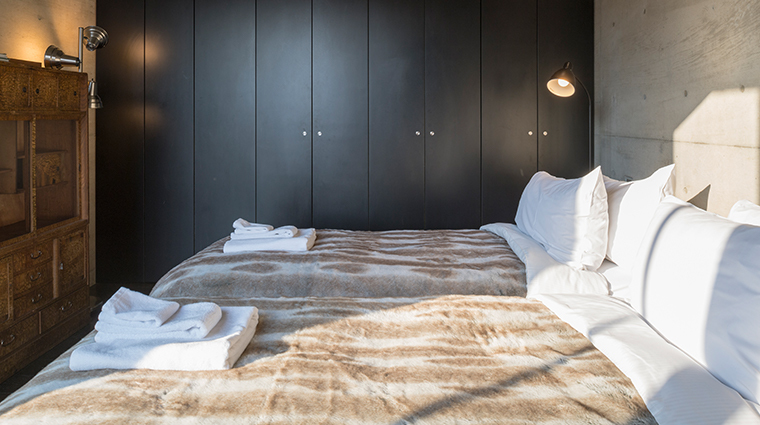 And as you might expect, this color scheme is used tastefully throughout the 10 spacious, amenity-filled lofts. 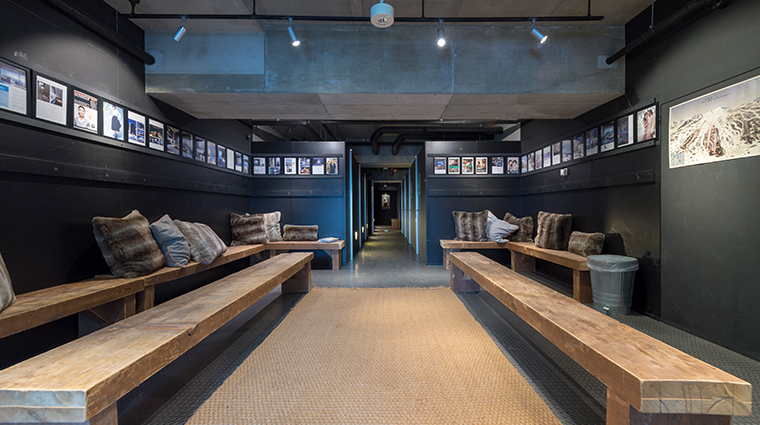 These stunning designer lofts, which have a modern industrial aesthetic, sit in what might be the most architecturally distinctive building in town. 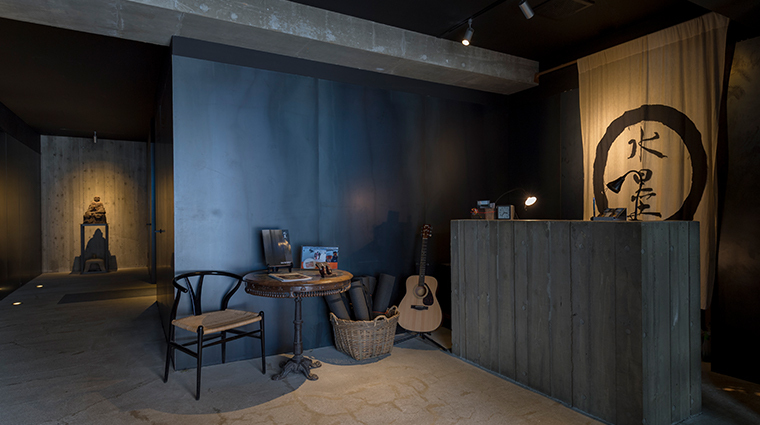 Bespoke interiors have a welcoming warmth, with many traditional Japanese details and touches (mushiro straw mats, bamboo screens). It’s a great combination of comfort and understated style. Individually tailored concierge service guarantees that you are personally attended to. Staff helps with all arrangements, from pre-arrival to departure and every skiing inquiry in between, to ensure a relaxing stay. 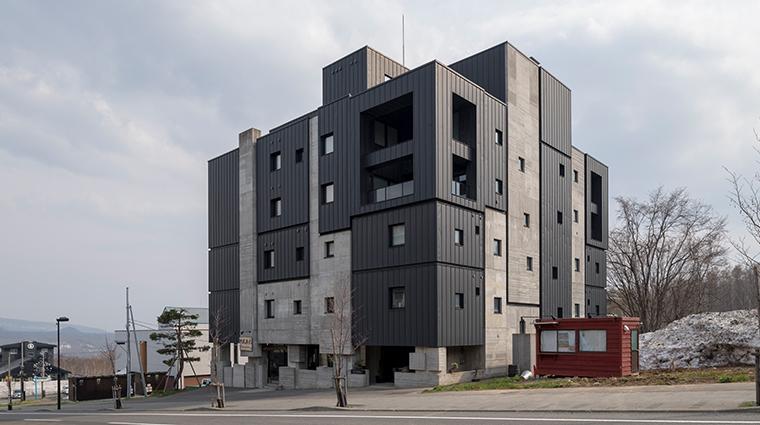 The Hokkaido hotel has a fantastic central location in Upper Hirafu Village, directly adjacent to the Ace Family chairlift. This means you can be out on the slopes within minutes of leaving your room. 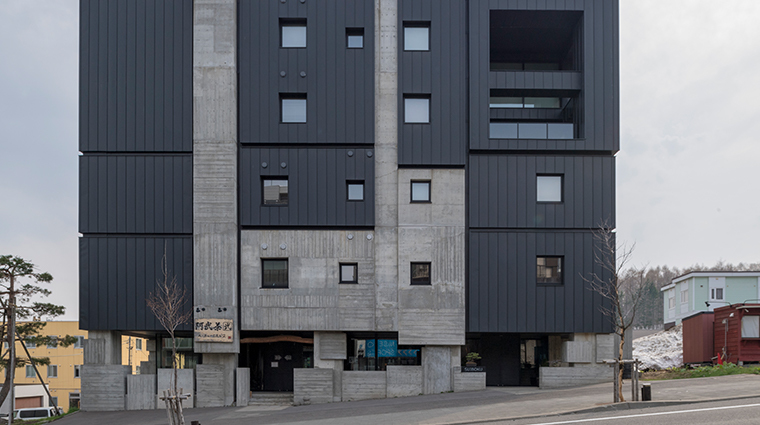 All the best local restaurants, bars and shops are just a minute’s walk away, including the new Hirafu 188 retail building just across the street. 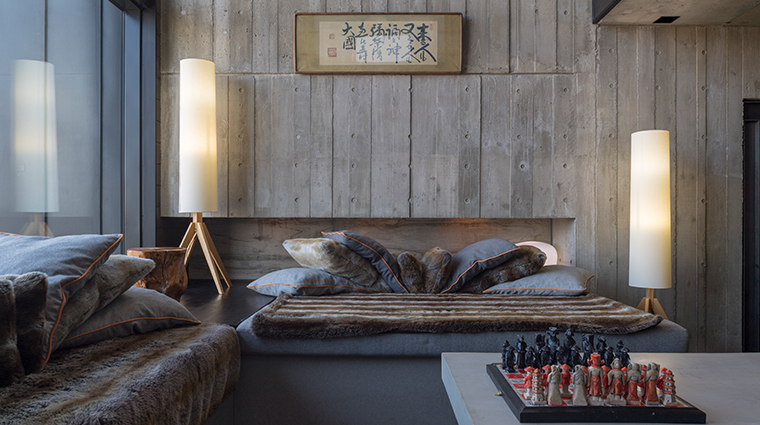 Suiboku is the perfect place to stay if you intend to spend as much time as possible on the slopes. Make use of the onsite ski locker for storing your things. Enjoy the full benefits of the exclusive ski valet service. Ski and snowboarding lessons are available to guests, plus private guides for off-site adventures. There is a complimentary driver’s service during front desk hours — just ask at reception. The Suiboku team can stock your kitchen with groceries in advance, if requested. It is a 10-minute walk up the road to the Ace Quad lift, which takes you to the upper part of the mountain. But rather than slog around in ski boots, just take the adjacent Family chairlift up the hill. Or you could always hop on a bus to the gondola; there’s a stop right on the property’s doorstep. 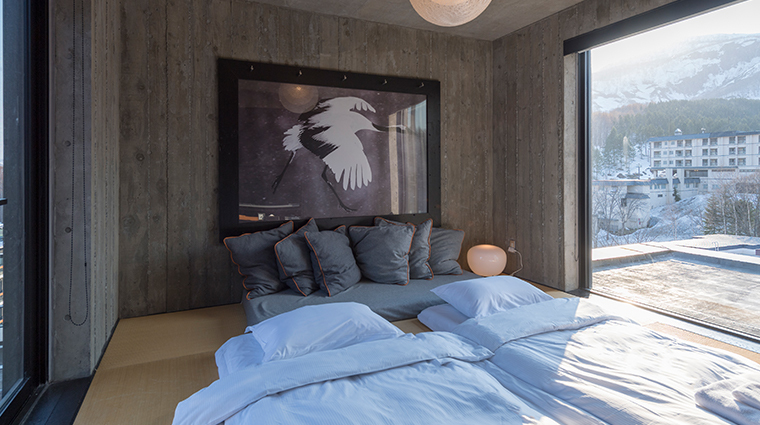 Each loft features at least two bedrooms and offers enough room to sleep four to 10 guests comfortably. 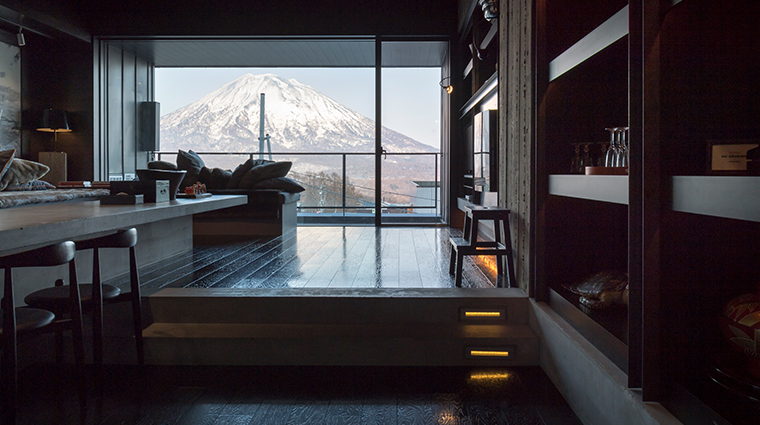 Spacious, chic living spaces with floor-to-ceiling windows and outdoor terraces provide panoramic views of Hirafu Village and the spectacular Mount Yotei, the Mount Fuji of Hokkaido. The apartment-like lofts are fully furnished with modern appliances (Miele dishwasher, Toshiba washer and dryer) while the living areas have sunken lounges and cozy gas fireplaces. 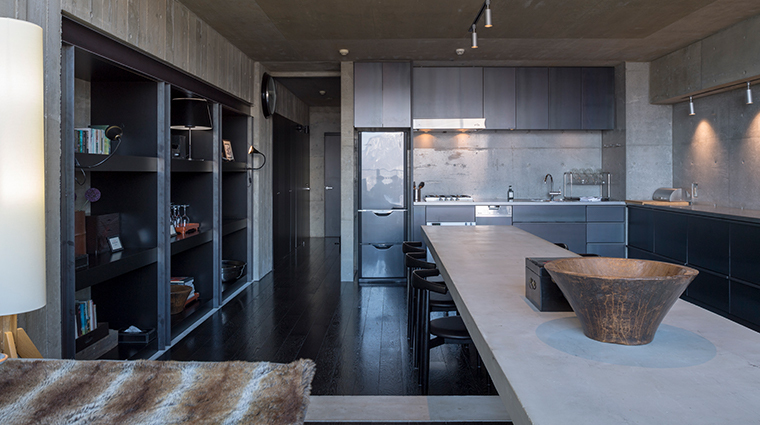 Ceiling-high shelves are adorned with a mix of books, contemporary and traditional sculptures, and interesting adornments to create a homely feel. Flat-screen TVs include complimentary Netflix and Hulu subscriptions for lazy evenings in. 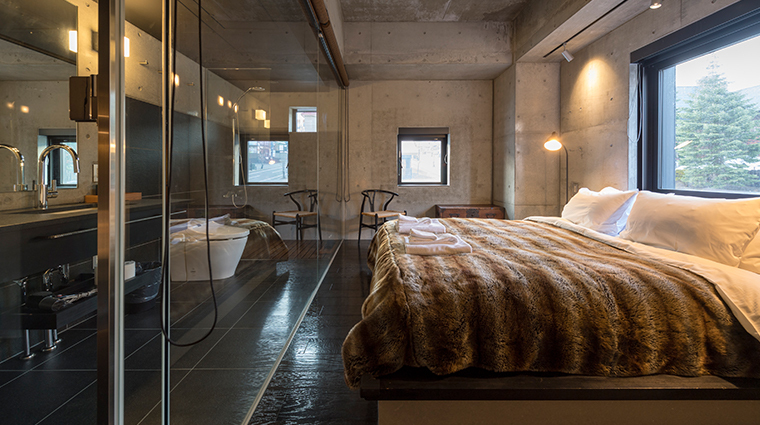 All lofts have at least two bathrooms, with a glass-walled en suite in the master bedroom. 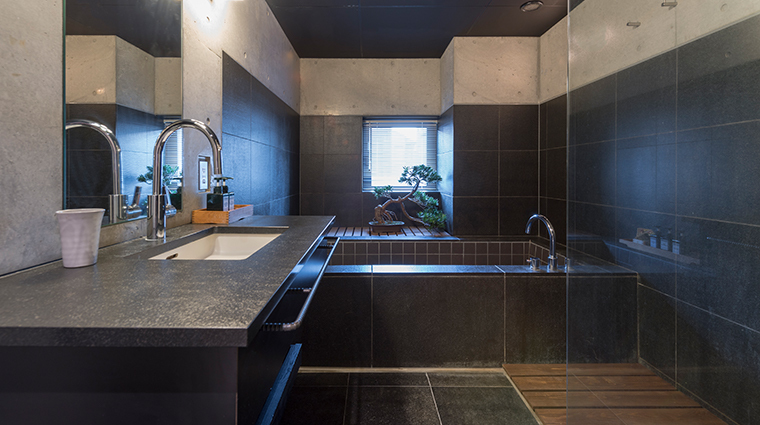 After a long day on the slopes, rest your weary body in the ofuro spa bath or refresh in one of the fabulous rain showers. 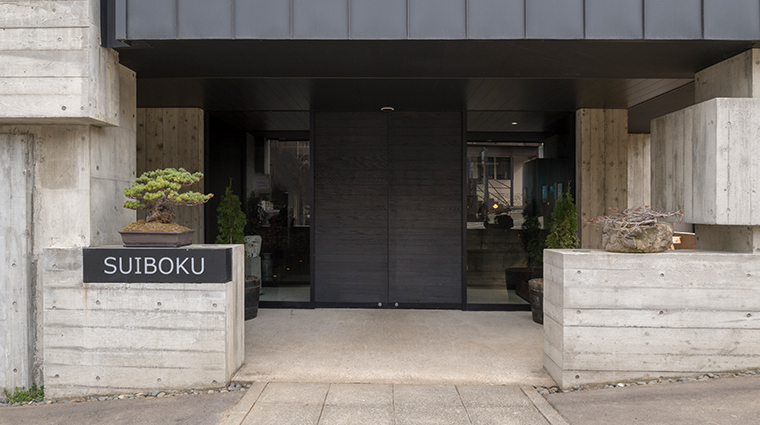 While Suiboku doesn’t have an onsite restaurant, the property is within walking distance of a number of Hirafu eateries. The concierge can give you recommendations and can get you reservations to popular area spots like Snow Castle and Kamimura. If you want to prepare your own meals, Suiboku makes it easy by stocking every loft’s kitchen with aGaggenau oven, Rinnai rice cooker and other high-end epicurean essentials.